eWON presents the very first modular and flexible industrial M2M router Flexy. It's composed of 1 based module and 4 removable extension cards. The new router offers flexibility on several levels. Firstly, the WAN flexibility offers the user a choice of expansion cards to connect to the Internet: LAN, RTC, WiFi, CDMA, 2G and 3G. 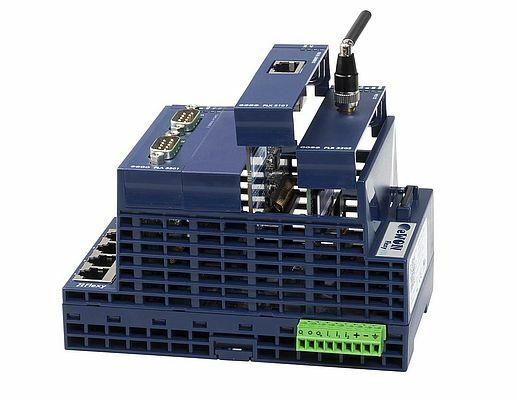 Also, the FIELD flexibility offers a choice of basic module and expansion cards to connect to equipment: switch 4 Ethernet ports, RS232/422/485 serial ports, MPI/ Profibus port. Finally, the router offers APPS allowing added value services to be provided: data logging, notification of alarms, Web HMI and BASIC or JAVA programming.